We’d love your help. 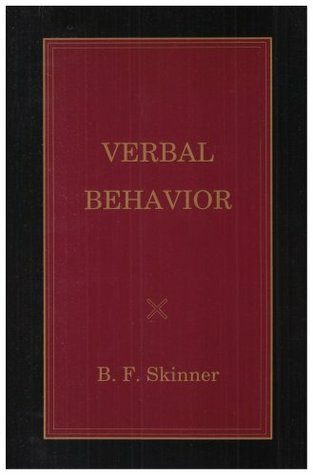 Let us know what’s wrong with this preview of Verbal Behavior by B.F. Skinner. To ask other readers questions about Verbal Behavior, please sign up. A seminal work. Really. Half a century later, the concepts in this book are the bedrock of some of the most empirically-validated approaches to teaching language to children diagnosed with autism. A radically different way to think about how and why we talk -- but also confusing and dry. This is a difficult read, which requires full commitment (e.g., re-reading, note-taking). 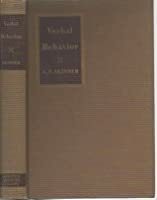 If you're interested in ABA and verbal behavior, however, it's a must read. A difficult read that requires commitment to finishing. However, unbeatable in every way. A wonderful theoretical case for how verbal behavior develops and how it is maintained. DO YOU WANT TO UNDERSTAND HUMANS scientifically? Aside from the Bible, it is the most amazing book that exists. I only give it three stars because a lot of it went over my head. It is a dense book, but not in a bad way. I want to reread it soon and also re-rate it after I finish it. Theoretically impoverished as it is, this is an imposing work of surprising erudition, depth and clarity. Read for a class...I like the application of this theory. VERY hard to read!! It's a completely different language!! !